I've been fortunate enough to have explored many places already, and some destinations have been so incredibly amazing that I would go back to again in a heartbeat. But there are too many places I want to go to, and to try narrowing it down to my top 3 is beyond hard. This was the bloggers challenge set by Transun for a chance to win a trip for 2 to see the Northern Lights! Enter the bucket list competition for your own chance to win, all post entries must be submitted by Thursday 30th April. Transun have been in business since 1982, specialising in tours for Northern Europe with fun experiences in tow. The Northern lights is just one of the many experiences they offer, and how amazing does a husky safari sound?! After much thinking, umming and ahhhing, here is my top 3 bucket list travel destinations which I hope to crack in the near future. This is on top of obviously wanting to go and see the Northern lights! There's no denying that the white washed houses with bright blue roof tops sitting on top of the Aegean sea is just so breathtakingly beautiful. To me, it's one of the most romantic places on earth. The twilight view of Santorini just send chills down my spine, there's no place quite like it. If there was ever a food heaven on earth, Taiwan would be one of them. I'd previously dismissed Taiwan as a city similar to Hong Kong - my second home, so I never had the urge to go. That was until I started following Instagrammers/FB friends from Taiwan and their food photos had me going ga-ga. I also came to learn that the Taiwanese are quite heavily influenced by Japanese culture whether in their food or fashion (I love Japan!) and Taiwan is home to many beautiful outdoor springs. The lakes, mountains and temples are so tranquil, it almost feels as if you could be a part of an ancient painting. 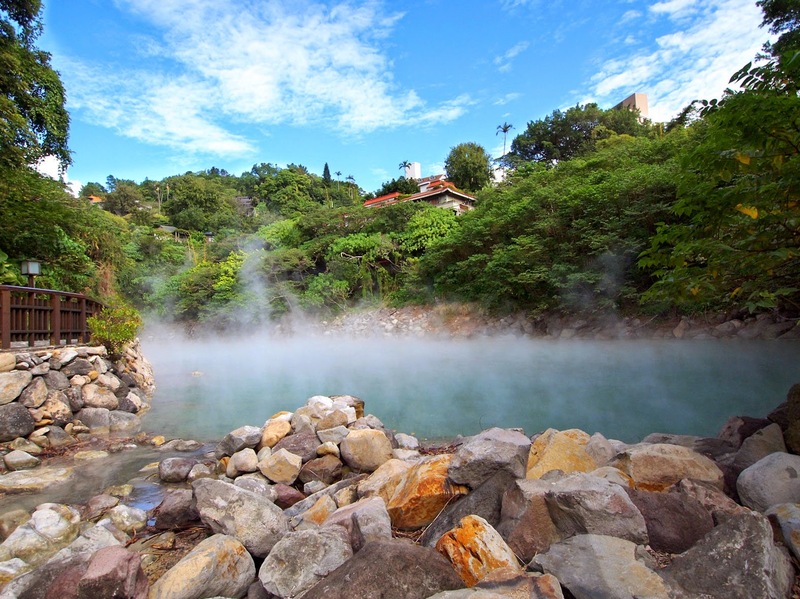 City life along with picturesque scenery, relaxation and restoration; Taiwan has it all. When I make it to Cambodia, the first place I'll be heading to is Angkor Wat. Angkor Wat literally means 'heaven on earth'. With its intoxicating history, its spectacular temples and monuments, the intricate details in the carvings, it's easy to see how it got it's name. Cambodia's rising sea level means one day, it may not exist anymore and whilst it's still intact, I want to see this beautiful place for myself. What are your top 3 bucket list travel destinations? I would love to know. Please send me a link to read if you enter the competition with your blog post! Thanks for stopping by Nati! Daydreaming about the food in Taiwan!! NYC is a brilliant place! Great choice with Taiwan- I've the food is amazing... now I'm adding it to my list too! Yes Taiwan is a must visit!! Some of the food is unique to them only, I so want to go to the night food markets! My sis went to Angkor Wat and did that 5am trek to see it at sunrise - looked incredible. I really want to visit Taiwan too as I've some friends that are from Taipei/Kaoshiung and the FOOD looks totally incredible! Wow, the sunrise trek sounds amazing Winnie! Such a lovely post! 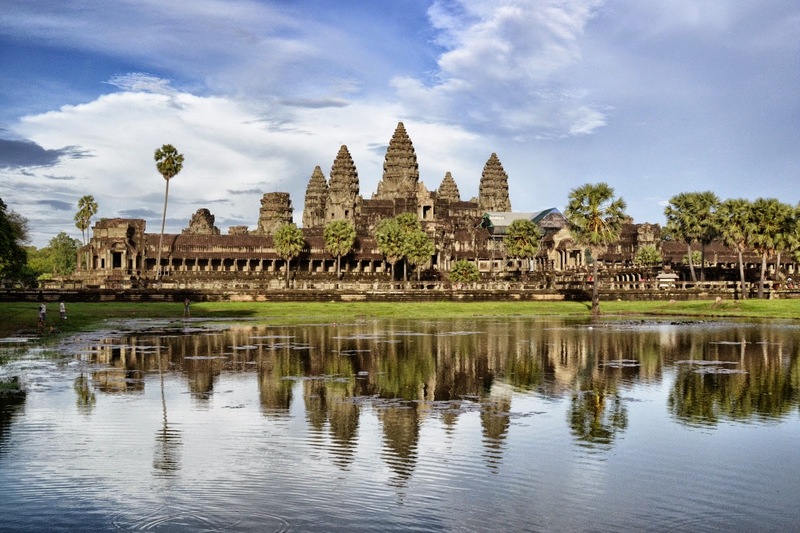 Angkor Wat is also on my bucket list. There are so many amazing places to see, but simply not enough time for traveling. Thank you for the beautiful inspiration. 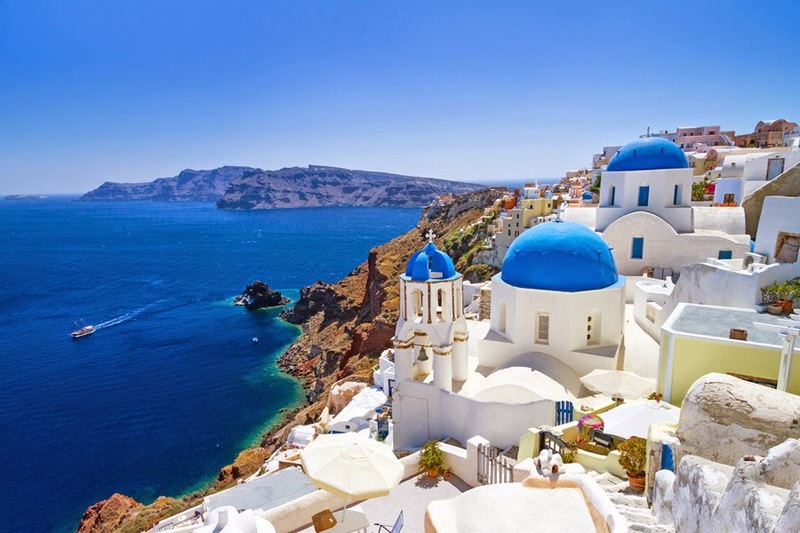 Santorini was on my list for this year staying at the grace but house improvements have taken over so we won't be able to afford it and J might be in Florida again in Sep.
J is busy with his florida trips! !